Home » I’m From Texas, What Country Are You From? Howdy, I’m from Texas. More than one Texan has spoken those words. When people travel, especially internationally, they usually get asked “Where are you from?” You often hear the U.S., Canada or Germany. Ask a Texan and you won’t get the U.S., no sir, you will hear Texas. After all from 1836 to 1845 Texas was a country and in the minds of a lot of Texans, still is. Ask someone to describe a Texan and they will probably tell you Texans are braggarts. Of course that’s not the way a Texan sees it . If we Texans, yes I am from the Great State of Texas, tend to be a little proud of our State it’s hard to blame us. After all you rarely hear someone as proud of their State and place of birth. And let’s set the record straight. You’re a Texan if you were born in Texas. Others have immigrated to Texas and call themselves Texans. We tolerate them claiming Texas as home and don’t raise much of a fuss about it, Texans are hospitable that way, but we all know they’re immigrants. Texas holds a few records in “the world’s largest” category. Texas has a lot to offer tourists. 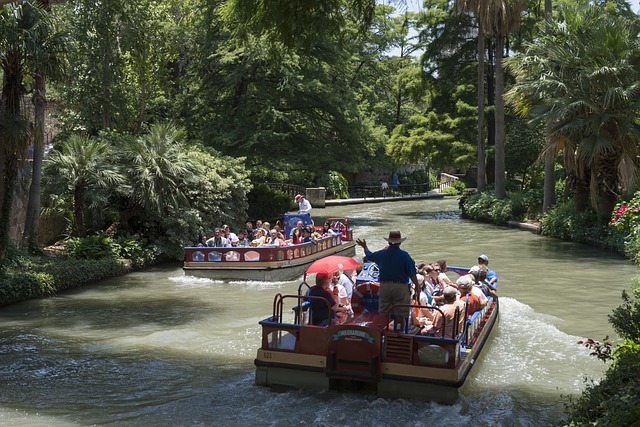 In fact in 2013 Texas was visited by 1.57 million overseas visitors (excluding Canada and Mexico). Why do people visit Texas? Well, there is a lot to see and the whole state really doesn’t look like what most people think. Texas has everything from wide open spaces, beaches, mountains and yes trees. In fact there are four National Forests in the State. With all the different things to see and do, not to mention the BBQ, it’s no wonder Texas draws lots of tourists. Speaking of BBQ any Texan will tell you that the stuff you find in Kansas City or Memphis isn’t bad, it’s just not quite up to par with true Texas BBQ and the mecca of Texas BBQ is found in Central Texas. You will find BBQ in sit down eating establishments, sold out of food trucks, sold inside gas stations and being prepared in most backyards on any given weekend. 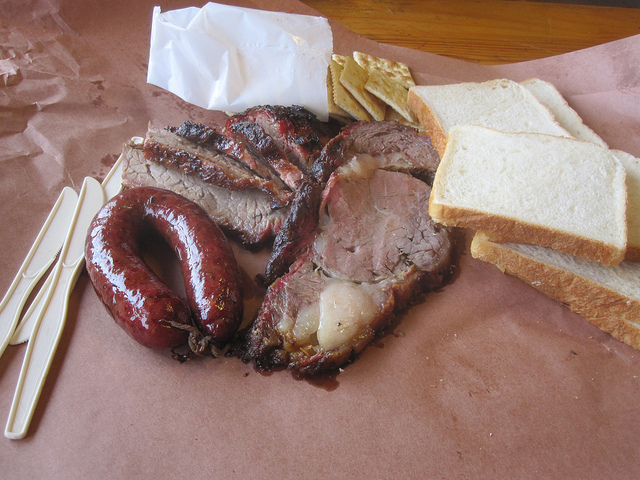 The city of Lockhart Texas has long been recognized as a BBQ lovers dream destination. With a population of 13,098 and 4 BBQ joints, we call ’em joints not restaurants, Lockhart has a place for every 2600 citizens. That doesn’t count the smaller places. 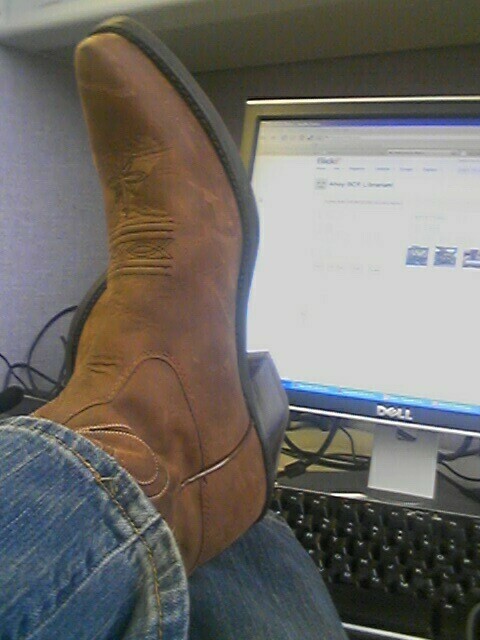 When people think of Texas they think of cowboys. Texas still has a lot of working cowboys on ranches big and small. Images pop into your head of a romantic life riding in the wide open spaces free from the modern hassles of city life. Having worked on my Uncles ranch I can tell you, it is long hard work. I remember being woken up at 4 am by my Uncle standing over me, already dressed and the smell of coffee coming from the kitchen. I would climb out of bed, get dressed and stumble into the kitchen looking for breakfast only to be greeted by my Uncle handing me a cup of coffee and telling me to grab a couple of biscuits and get moving, we’re late. We would head out and spend all day doing working on the ranch only returning to the house around 7pm. Looking back now I wouldn’t trade those days for anything. Speaking of ranches, Texas has some big ones. From the King ranch which is 825,000 acres and spread out over several counties to the Waggoner Ranch which is the largest contiguous ranch in the United States and comprises 535,000 acres. 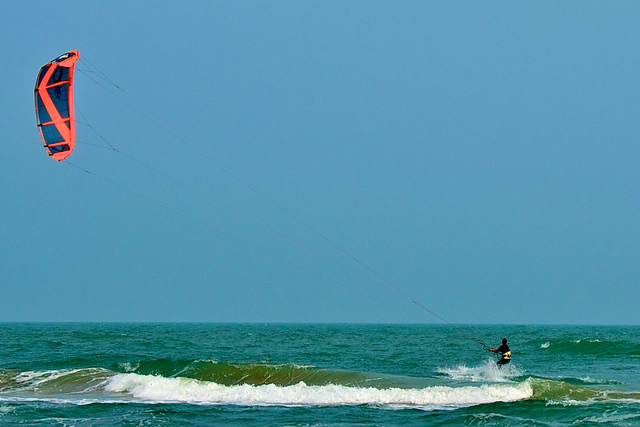 Besides wide open spaces there are also great beaches and lots of coastal shoreline, 367 miles of shoreline to be exact. As you can imagine by now, there is a lot to see in Texas. 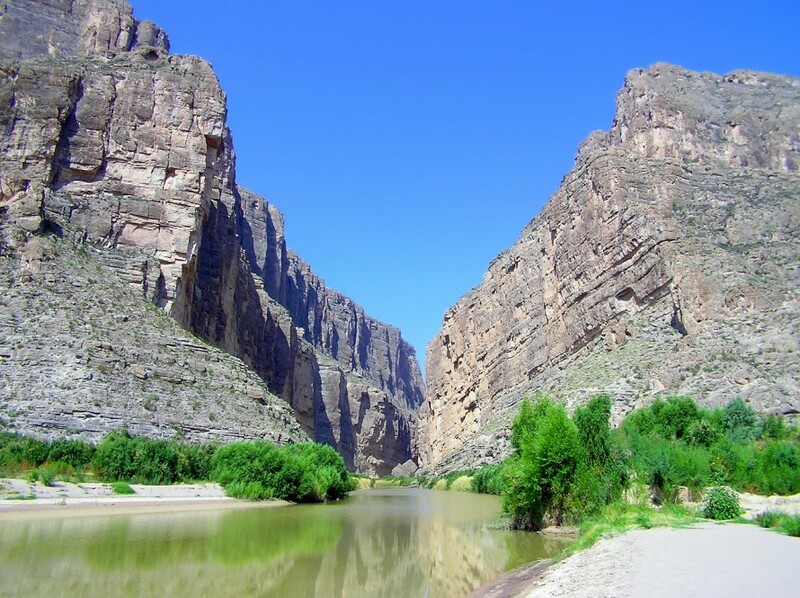 Big Bend National Park in West Texas, Padre Island National Seashore, The Alamo and famous River Walk in San Antonio, Ft Worth Stockyards, Houston Space Center and Galveston Island. 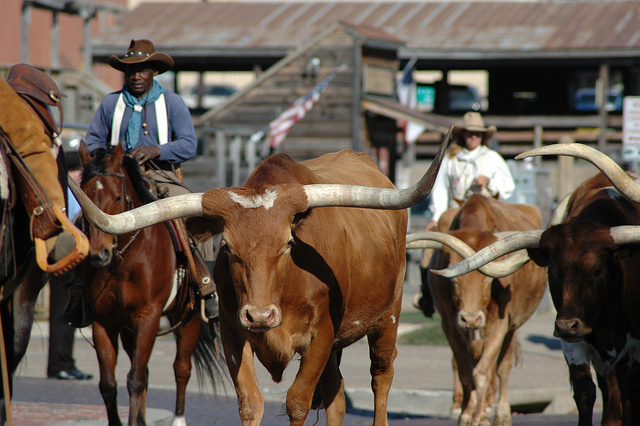 The Houston Livestock Show and Rodeo is the world’s largest livestock show and the richest regular season rodeo. It also offers world class entertainment. Since the 1930’s entertainers such as Elvis Presley, Bon Jovi and ZZ Top have all played the rodeo. 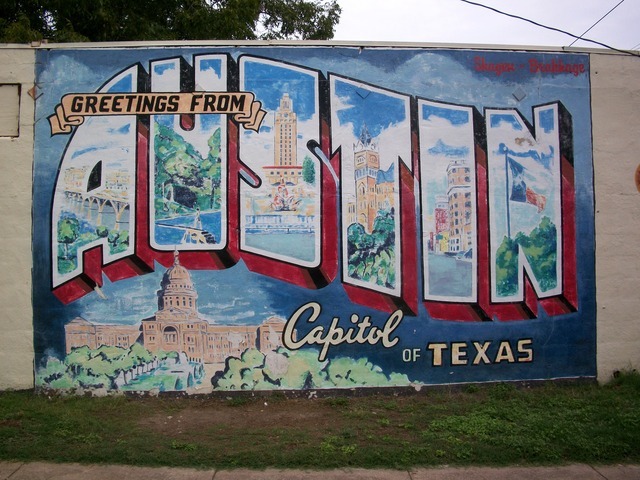 Austin is the capital and by most Texans standards is a little weird in fact Austin has adopted and embraced the slogan “Keep Austin Weird“. Austin is also the host of the annual South by Southwest festival, an event showcasing music, independent films and emerging technology. 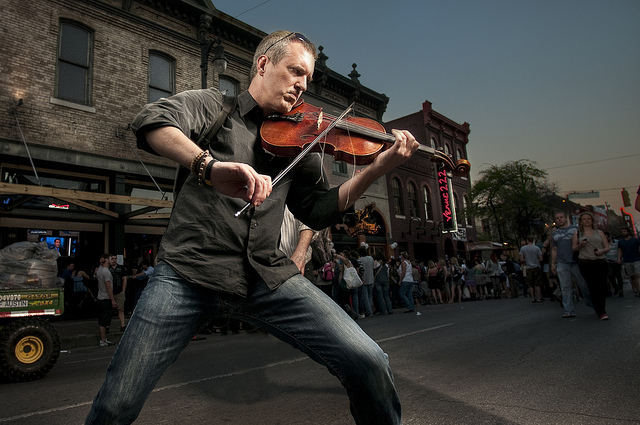 Often billed as the Live Music Capital of the World, Austin showcases up and coming and established music acts in small music halls and bars all around town. From 6th Street to the Warehouse District and other parts of town, you can always find a venue to suit your taste. You like road trips? You better pack a lunch. It is closer to drive from El Paso Texas to Los Angeles California than it is from El Paso to Beaumont. That is why Texas has 14 International airports. But hit the road and you will find some great scenery and some really interesting towns to stop at and visit. The longest highway in Texas is US 83 which stretches 899 miles from the Oklahoma state line near Perryton to the Mexican border near Brownsville. 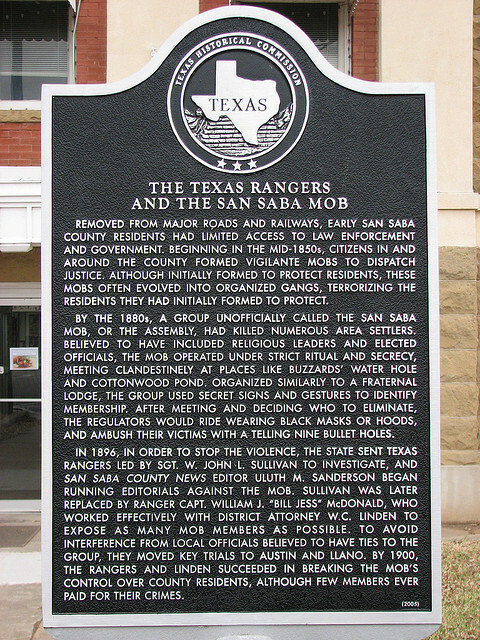 While you’re at it keep a lookout for those Texas Historical markers, they are everywhere. Texas has a little something for every tourist, whether you want to take a road trip or stay awhile in one city. If your goal was to make me feel bad for turning my back on my country, well done. And now I am also dying for some BBQ but unfortunately I am many, many miles and countless roads away. However all of what you said is correct. HaHa, no matter where I go and for how long I am out of the country, always glad to get back for a little bit and enjoy Texas. I agree about people asking where you are from. Tell them Nebraska and they look at you funny. Respond Texas and they immediately know. It can get a little hot and dusty in West Texas and I’m jealous. Enjoy the Monte. I saw this post and of course had to read it. Great job my friend and I loved every bit of it. Whenever someone asks me where I’m from I always say Texas. I never say the U.S. because who the heck in this world has never heard of Texas. And yes, because during a period of time we were our own country we tend to still think of ourselves in that way. I’ve talked to quite a few people online and they’ve always told me that when they come to Houston they’ve met some really nice people. Very courteous and kind. I always laugh and tell them those are the “native” Texans because we have a lot of people in Texas who are rude and just mean but they aren’t natives, they immigrated from some other place, mostly up north. It’s a shame actually but we do tolerate them. Love how you shared in this post what all our beautiful state has to offer. I’m proud to be a native Texan, born and raised. It’s a great state, a wonderful place to visit and of course live. Thanks for sharing this Bob and hope you’re enjoying your weekend. Always good to hear your comments and perspective. I have noticed through my travels that if someone is from Texas they let you know. I have also noticed that when I visited Texas the people were amazing but when I met them in other places they tended to get louder. There also seems to be a parallel between the size of the cowboy hat and the volume of the wearer! I do need to come back one day for more BBQ though. Here is a funny bit about where I am from Bob. So I am from New Orleans, right next door from you! And when I travel I have the same pride about New Orleans as you may about Texas. However, its not a state pride, though Louisiana rocks, its more of a NOLA pride. Though I am born and raised here its probably post-Katrina enhanced I am sure. Haha good one. Yeah, sometimes words and phrases mean other things in different parts of the world. I forgot about that one. That is a sight to see.